Rubber American football for children above the age of 3. 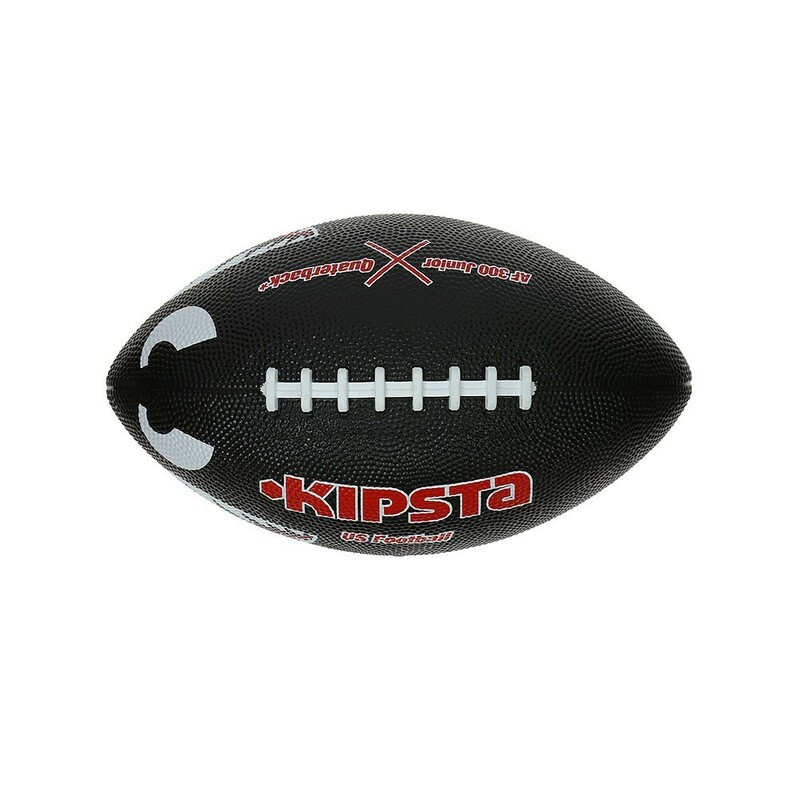 The lightweight rubber ball is easy to throw and ideal for introducing your children to American football! - Being made out of rubber, the ball has an easy grip which facilitates catching and throwing for your children! 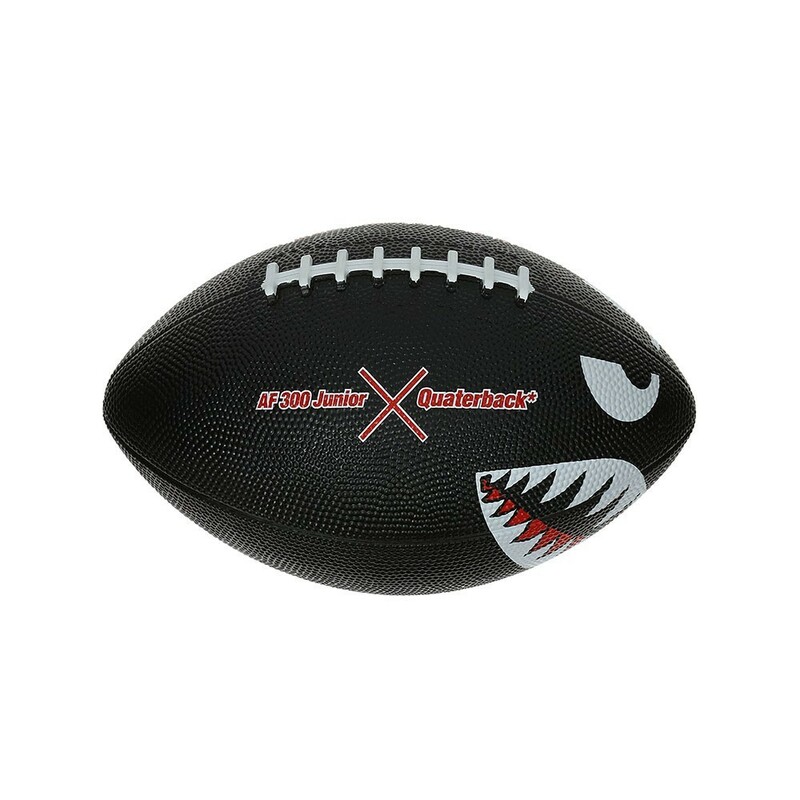 - Decorated with shark motifs on a black background, the ball is easily handled thanks to its small size. 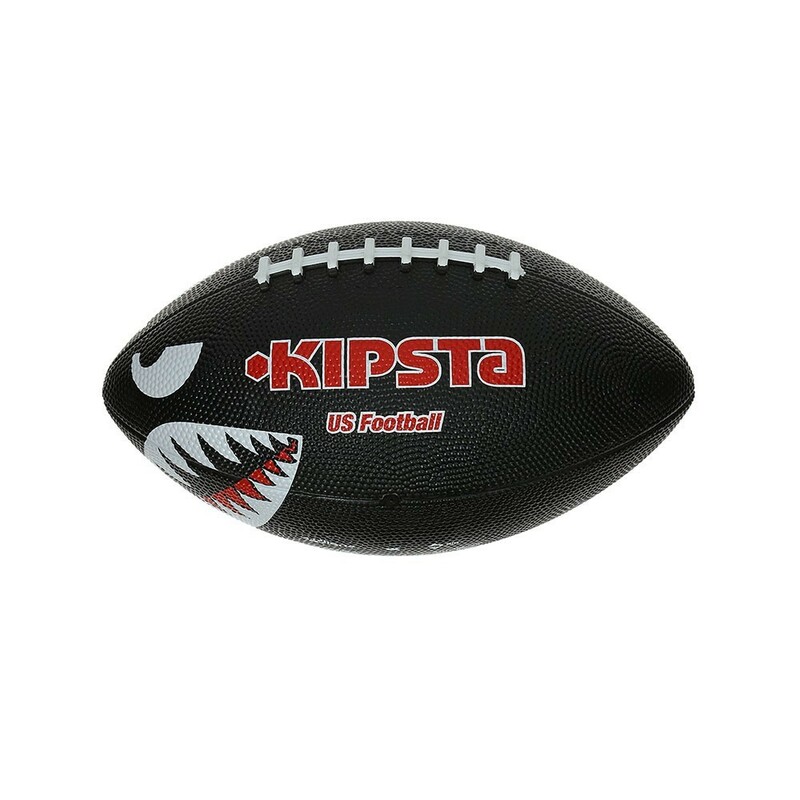 - This American football is delivered deflated, all you will have to do is inflate it with a standard pump.